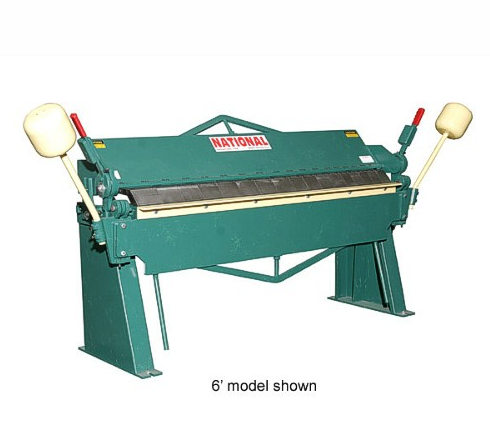 This National 96 inch 14 gauge box and pan brake features a unique 6 inch depth of box compared to 4 inch of depth on standard models. Heavy body construction, precision bearings on the apron, two large cast iron counterweights and an apron stop for repeat bends make this box and pan brake a great value. National also backs these machines with a 3 year warranty!